The maps provided on this page are for general information purposes only. The exact locations and boundaries of lots, roads, common areas, streams, lakes, and any other items noted on the maps must be verified independently by anyone relying on these maps for anything other than gee whiz purposes. Questions concerning ownership boundary locations should be directed to a title company, attorney, or licensed land surveyor. The Timber Lakes Property Owners Association makes no warranty as to the accuracy or usefulness of this information. None of these maps should be used as a substitute for a recorded survey or a balanced, mother-approved diet. This is a road map of the mountain, provided by Wasatch County. It also shows lot numbers and common areas. The link on the top is the upper mountain. The link on the bottom is the lower mountain. A shaded relief map uses a technique where a lighting effect is added to a map based on elevation variations within the landscape. It generally is intended to mimic the sun’s effects – illumination, shading and shadows – on hills and canyons to show topographical features. 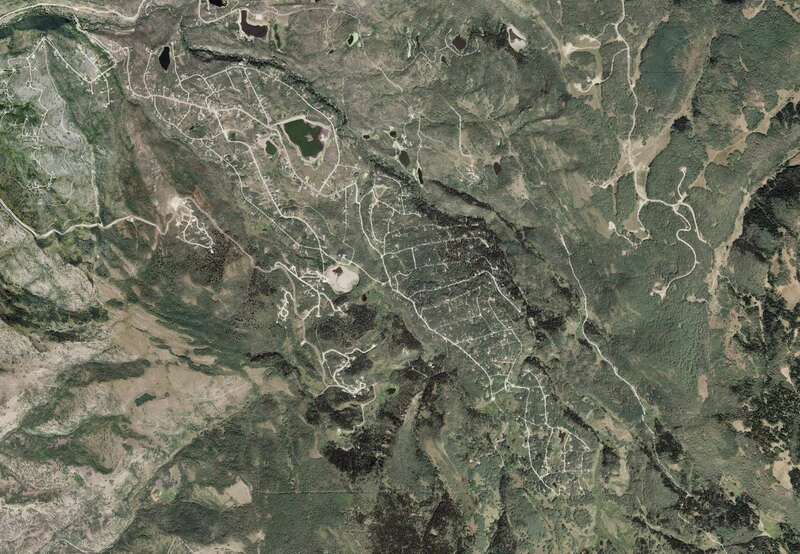 This is an aerial view of Timber Lakes, from a satellite photograph. A special shoutout to Josh for teaching me how to spell aerial. It only took two lessons. This link accesses a Google Map of Timber Lakes. 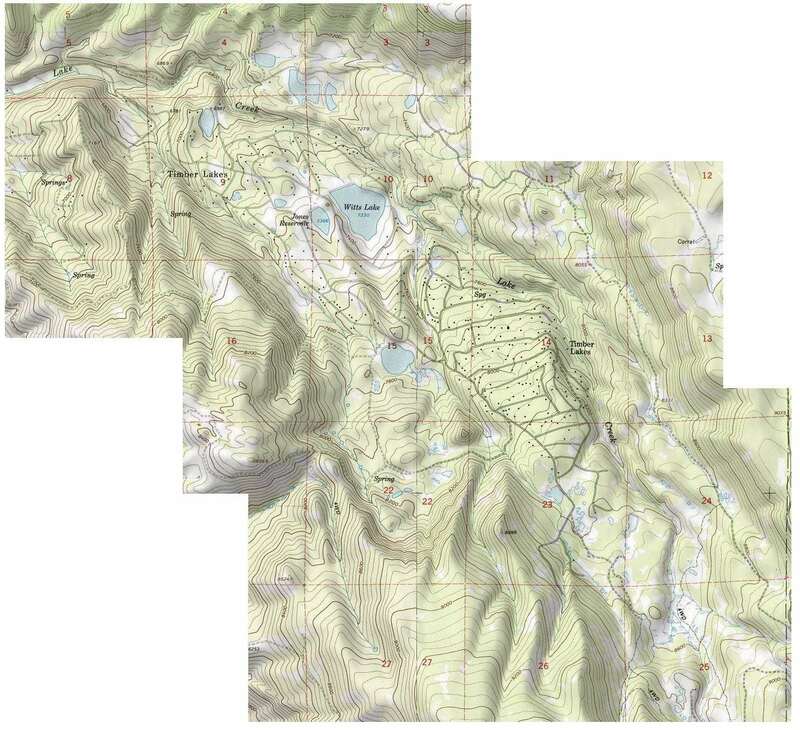 Wasatch County maintains and operates a web application that provides online mapping services. To access the County’s online base map, click on the link below. You can either pan around the map, or search for a specific parcel or serial number. The base map service will help with locating roads, addresses, parcels, view aerial images and printing a map. Once the map is open, use the Information pulldown menu to get help. To access the County’s online survey map, click on the link below. You can either pan around the map, or search for a specific parcel or serial number. This map service will help with locating surveys of record. After you locate the correct lot, zoom in and the survey record number will display. Click on the survey and an information box will popup with some information about the survey(s) in that area. Select the download arrow in the popup box to obtain a pdf file of the survey.